-A very simple practice. You ask a yes or no question, and I will draw a card. I will explain what the card means, and what the answer is.  A quick way to see if tarot readings and my coaching is a good fit for you. Ten minute session with me, discussing where you want to go, what goals you have, and how we can get you there. This is a ‘get to know you’ session, so be prepared to answer questions as much as ask them. Think of this as a chat between friends. -Upon receipt of a picture of your palm, I will write up an email, explaining what it shows me about your past, present and future. A wonderful way to get to know yourself, and much more accurate than a Horoscope. -This is a single reading. You ask a question, and I will answer it, using a three-card spread. I will explain each card, it’s meaning, and it’s effect on the cards around it. This will be emailed to you, along with pictures of the cards I drew. -A half hour wherein you can ask as many questions as you’d like, and I will read the cards for the answer. We will discuss your plans, your goals, and your emotional and spiritual states. Then, if there is time, we will discuss how we can address your concerns. This may be done over Skype, text message, phone call, Facebook Messenger, or Discord. -A one hour session with me, discussing your future and any questions you may have. My cards and I will be answering your questions and guiding you toward happiness and success. This may be done over Skype, text message, phone call, Facebook Messenger, or Discord. Please come with a list of questions prepared beforehand. Every half-hour after the hour is up will be billed at $75. There will be no refund if I must end the session due to prior commitments. -An extensive Five-Week Course through which the client will be transformed, allowing joy, abundance, and spirit to leap at their call. Click the button below to find out more.